End of Labour as a major political force? The Light Dawns – The Penny Drops! It came to me in the bathtub! It was a favourite saying of my old middle school teacher, Mr Hislop. It was a mildly sarcastic form of congratulations when one, or all of his pupils finally showed signs of understanding something he had been at pains for some time to explain. The words came to my own lips as I read an opinion piece in New Zealand’s own Herald newspaper/website. The writer was commenting on the woes of the NZ Labour Party in the lead-up to this year’s General Election. The conservative National Party has been in power since 2008. The Prime Minister for most of those years was an unabashedly rich finance mogul whose standard response to news media questions about the numerous scandals that broke during his term of office was, “Oh, nobody cares about that!” New Zealand has a ludicrously inflated housing market, a playground for wealthy local and foreign “investors”. The country has received dishonourable mention in global reports on child poverty and international money laundering. In spite of that, and more, the main opposition Labour Party is plunging rather than rising in public opinion polls, and the party’s panicked response has been to choose a new leader, four months out from Election Day. It’s “the beginning of the end of Labour as an automatic major political force,” says this political commentator. Interesting choice of words, don’t you think? “automatic major political force”? Unfortunately, that’s what it is, and has been for the last 40 years – and not just in New Zealand A brain-dead response by people unhappy with the social injustice created by traditional conservative economics. Political pundits in the UK are desperately trying to convince voters that the local Labour Party has found, in Jeremy Corbyn, a leader to take them back to their roots. The US Democrats managed to sell Barack Obama to their well-heeled, trendy-lefty supporters, and nearly did it again with Bernie Sanders. The sad fact is that Labour Parties (and their alter egos) in these countries and Australia, and others for all I know, are just a construct of the established financial elite who wield the real power while conning a pathetically gullible electorate into thinking they have a choice at the ballot box. Labour back from the dead – again? Let me quote you some facts and figures. New Zealand voters elected their first Labour Government in 1935, in the depths of the Great Global Economic Depression. That government did actually manage to implement some genuine socialist reforms, on which their successors have been dining out ever since. By 1949, however, they had turned their back on most of their founding principles, got rid of any dissenting voices in their own ranks, and were deservedly thrown out in that year’s general Election. 68 years have passed since then. Conservative National governments have held the reins of power for 47 of those, and pale pinkish-blue pseudo-Labour governments, the remaining 21. The last possibly true old-style Labour Prime Minister, Norman Kirk, was elected in 1972 on the slogan, “It’s time for a change” – which voters were ready to accept after twelve years of National rule. Unfortunately, Big Norm died two years later, and Labour were thrown out in 1975, having failed to achieve much at all. Work it our for yourself. National returned to office and proceeded to make themselves pretty unpopular, nevertheless winning again in ‘78 owing to their own electoral gerrymandering and Labour’s predictable incompetence. Despite NZ’s manifestly unfair first-past-the-post electoral system, a rejuvenated force had appeared on the NZ political scene. The Social Credit Political League began picking up support from voters fed up with the lies and deceit of the two main parties. After giving the National Party two shock defeats in by-elections, Social Credit actually replaced Labour as the country’s preferred opposition party in public opinion polls in 1980. That was when the business/financial elite showed their true colours. Going against almost total international opinion, the National Prime Minister arranged for the NZ Rugby Union to host a tour of the country by a team from apartheid South Africa. Whatever naïve political writers tell you, it was a deliberately cynical ploy to divide the country along conventional lines, with the rugby-mad and the libertarians supporting the tour, and left-leaning union-leaders, armchair liberals and “intellectuals” coming out strongly against it. The 1981 General Election returned to the same-old-same-old, manipulators-extraordinaire National and a temporarily ideologically renewed Labour. The victory went again to National, but by 1984 NZ voters had definitely had enough of them. Seeing the writing on the wall, the same business/financial elite set up a well-financed straw party to siphon off the protest vote and ensure that Labour would finally return to office. But what a Labour Government!! Their public relations creation windbag Prime Minister led a government that implemented libertarian reforms drawing inspiration from the UK’s Iron Witch Margaret Thatcher and US Wild West hero Ronald Reagan. Sorry, folks – Labour won’t take you to the Emerald City. The simple fact of the matter is those who hold the real power in New Zealand (and other Western pseudo-democracies) want to retain the Labour Party as the main political “opposition” to maintain the illusion that voters have a choice. “The end of Labour as a political force?” Sorry, mate, that happened decades ago. They’ve been dead for years – they just won’t lie down. I’d like to believe that the light is finally dawning in New Zealand, and the penny will drop to activate the machinery of a new political age – but I don’t hold out much hope. Too many people want to believe in the yellow brick road. A “monster” turkey is roaming the streets of St Clair and chasing people at a popular Dunedin walking spot. St Clair resident Martin Montgomery said he first encountered the turkey when he was running up Jacobs Ladder about a month ago. Two weeks later the bird was in his driveway. He has named the bird Elliott because “he looks like an Elliott”. On social media some people have named it Tom Turkey. The bird has been spotted in Aberdeen Rd, Earls Rd, Lock St, Jacobs Ladder, Valpy St and Norfolk St in St Clair, as well as in neighbouring St Kilda. Dunedin city councillor Conrad Stedman said he was also chased by the turkey on Jacobs Ladder. A St Clair resident said he noticed the turkey a month ago. The “really big bird” would not fit in his oven, so the resident had made attempts on social media to find someone willing to give it a home. City council environmental health and animal services manager Ros MacGill said the bird did not come under council control because no reports of disruption or nuisance had been received. PS – Maybe that anonymous St Clair resident should have euthanased the bird and plucked it before trying to put it in his oven! Well, knock me over with a feather! I have receiving regular dire warnings from my countryfolk at the New Zealand Embassy in Ankara advising me to stay away from Turkey in general, and Istanbul (where I have been living safely and happily for more than 15 years) in particular. So, credit where credit is due, I want to share with you this article that appeared in the NZ Herald today, 25 April. Pretty magnanimous words, don’t you think? The day is significant because hundreds of Australians and New Zealanders are currently in Turkey to commemorate the Gallipoli Campaign when our grandfathers, loyally following orders from their British Imperial masters, invaded the Ottoman Empire and spent eight months doing their best to kill its young men and capture its capital, Istanbul. As happens every year, local people are extending customary hospitality to their former enemies, and local authorities providing security to ensure commemoration services proceed in comfort and safety. Beyond the war graves and remembrance is a vibrant land with a rich history, writes Pamela Wade. It’s not the sort of thing you’d share with strangers, but after 10 days together and over 2500km of travel in a grand circuit around Turkey, we all felt like friends. There were 39 of us, Kiwis and Aussies, on this Insight Vacations tour and although it was the Gallipoli centenary and Anzac Day services that had brought us all together, the bulk of our time was spent exploring an older history. Tour director Barcin has a university education that gives him an effortless command of not only the seven complicated centuries of the Ottoman Empire, but thousands of years of Greek and Roman history before that. Literally thousands: five, in fact, at Troy, where nine levels of settlement have been excavated down to its beginnings in 3000BC. Wandering around the site, past walls, ditches, foundations, columns both standing and tumbled, and a theatre of tiered seats, the age of the place was hard to grasp, despite Barcin’s best efforts. What was obvious, however, was the sheer beauty of the ancient stone, softened by feathery fennel and bright red poppies against a background of the distant Dardanelles. Some on the tour were deeply into history and the literary and religious connections, and everyone was impressed at Ephesus to be walking on polished marble pavers once trodden by Cleopatra, Mark Anthony and St Paul. For many of us, however, the visits to such sites, including Pergamon and Assos, were more about appreciating what remains rather than studying their origins. Pictures rather than words, perhaps, and no less legitimate for that. After listening to the explanations about what we were seeing – temples to Athena, Artemis, Dionysus, a towering library, a 10,000-seat theatre on a steep hillside, Roman baths, an Acropolis, the home of modern medicine, statues and so much more – the temptation was irresistible to use it all as the most glorious photoshoot ever. The tour isn’t all archaeology, legend and history. There was shopping, too. Astute stall-holders, knowing their market, shouted “Kiwi! Cheaper than The Warehouse!” as we walked past; others went for flattery: “Beautiful rugs! Like you!” or pathos: “We have everything but customers. Few, in the end, held out against the pretty scarves, the “genuine fake watches”, the evil eye pendants or the tapestry bags; but the serious shoppers waited for the visits to the factories. Fabulous fine lamb’s leather made into truly stylish jackets displayed in a catwalk fashion show; dozens of colourful wool and silk rugs unrolled with a flourish as we drank perilously strong raki; gorgeous decorated plates at a pottery visit that began with a mesmerising kick-wheel demonstration. Then there was the culture: an evening of traditional dance in an underground theatre began deceptively low-key, but wound up to an exciting climax that sent us away buzzing. We saw real Whirling Dervishes spinning unfathomably long and fast; and met a friendly lady who lives in a house burrowed into the rock, where Helen Clark’s signed portrait hangs (at least during our visit) in pride of place. This was at Cappadocia, the scenic high point for most of us, which is saying something in this country of bays and beaches, forests and farmland, white terraces and snow-capped volcanoes. Pillars of sculpted tufa capped by gravity-defying slabs of basalt make for a fantasy landscape, and to see it in low sun as a hundred hot-air balloons float overhead is unforgettable. Actually, it was all unforgettable: Gallipoli, the poppies and tulips, the cats, the food, the friendly people. There were mosques, markets and museums; a cruise, calligraphy and coloured glass lamps; sacks of spices, pyramids of Turkish delight, tiny cups of atrocious coffee. I had a wonderful time. Well first up, I want to apologise for the lateness of this review. In mitigation, I will offer the excuse that my birth was still some years in the future when the book itself was published in 1936. I managed to get hold of a copy recently after a search on the Internet turned up a signed first edition at a bookshop in Symonds Street, Auckland. Why was I searching? I’m a long-standing proponent of monetary reform – a firm believer that most of the world’s ills stem from the fact that ninety per cent of the money governing every aspect of human life on planet Earth is created as interest-bearing debt by private bankers. And not until the power to create money is removed from private interests and vested in the state, the government and the people who elect them, will true social justice ever become an achievable goal. Back in the late 70s and early 80s in New Zealand I was actively involved with a political party/pressure group arguing for monetary reform. I stood twice (unsuccessfully) as a candidate for parliament in 1981 and 1984. I saw close up the dirty tricks the forces of reaction would stoop to ensure the Social Credit Political League was wiped out as a voice of reason in a system designed to maintain a corrupt and unjust financial structure. Recently I have been heartened to see a re-emergence online of individuals and organisations arguing for Positive Money. It’s long overdue. The case is irrefutable. The main stumbling block is public ignorance about how money actually works. The Money Power Elite use this ignorance to maintain a grotesque system that keeps most of the world’s population in poverty and slavery. The author of “New Zealand at the Crossroads” was Henry J Kelliher, knighted by Queen Elizabeth II in 1963 for his “services to Philanthropy”. It may have helped that he was one of the country’s richest men as a result of being owner/founder of Dominion Breweries, one of the two companies that produced most of NZ’s beer. Nevertheless, the case for Sir Henry’s philanthropy may have a better foundation than other mega-rich claimants to the title in our days. In 1956 he set up a trust to administer an annual award for promising painters, and some of the NZ art world’s biggest names were early recipients. The award was discontinued in 1977, but a second foundation continues to present annual prizes for essays written by young students of economics. I’ve searched online and I’ve been unable to turn up any of the subjects these young economists have written about. It also possibly detracts a little from Sir Henry’s reputation for philanthropy that his knighthood was put forward by a National (conservative) government at the time. “New Zealand at the Crossroads”, however, provides firm evidence that its author had a strong social conscience, and was at the forefront of the contemporary movement for monetary reform. That New Zealand Government after 1935 did indeed attempt to implement its pledge first and foremost by converting the NZ Reserve Bank into an entirely State institution, then using credit provided thereby to carry out a programme of house building that provided a stimulus to industry, jobs for citizens, and low-cost, high quality housing for the needy. The results of the programme saw that Labour Government beloved by the people, and its Prime Minister, Michael Joseph Savage, elevated to a status bordering on, or possibly exceeding, sainthood. The Government reneged on its pledge. Some argue, and it is indeed highly probable, that the supra-national “Money Power” cajoled and threatened Labour’s leading politicians into dropping their programme. Those in the government who argued for its retention were sidelined or driven out. Within a couple of years, the British Empire had launched itself into a horrendous global war, financed by traditional private sector-created debt. New Zealand took the wrong turning at those crossroads, an epochal chance was lost – and the world settled comfortably (for some) back into hands of the blood-sucking money monopolists. As a footnote, my copy of this little book, signed by HJ Kelliher himself, 27 years before his knighthood, is dedicated to CG Scrimgeour Esq. Colin Graham Scrimgeour, popularly known as “Uncle Scrim”, was a hugely influential personality in New Zealand in the Golden Age of radio broadcasting. Under the guise of religion, “Scrim” broadcast regular weekly programmes during the Depression years giving voice to the concerns of the common people and “pushed the rigorous censorship of broadcasting to the limit”. He was a strong supporter of the Labour Party in the lead up to the 1935 election, and some say, an important contributor to its electoral success. In spite of that, however, he was not given the commercial licence he was expecting to operate his own radio station. Savage’s Government in fact nationalised broadcasting – before later re-privatising the creation of money. As the Labour Government moved away from its financial reform pledge, Scrim became an increasingly outspoken voice of conscience. After Savage died, he was succeeded by the newly conservativised Peter Fraser, who led New Zealand enthusiastically into the Second World War, and reintroduced military conscription, against all his one-time principles. Fraser did not conceal his hatred for Scrim, had him called up for military service at the age of 40, and dismissed from his position as Controller of the National Commercial [sic] Broadcasting service. I’m sorry to say, you are unlikely to find a copy of Kelliher’s book. I consider myself inordinately fortunate to have found this one. Call it fate or coincidence. HJK was once upon a time my grandfather-in-law – though I only met him once when he had long-since given up his reforming zeal. I do encourage you, though, to click on this link to Positive Money, and do your best to draw aside the veil of ignorance covering this all-important of subjects. Eighty years on, it’s more important than ever! 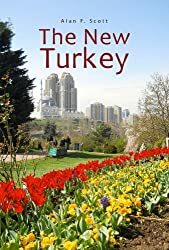 Postscript: You may wonder why I’m posting this seemingly irrelevant book review on my blog site about Turkey. It occurred to me that these ideas on financial reform were very prevalent in the 1920s and 30s, around the time Mustafa Kemal Atatürk was trying to build a modern viable republic from the economic and social ruins of the Ottoman Empire. I can’t help wondering if he managed to finance some of his rebuilding projects by intelligent use of the new nation’s credit. I haven’t yet turned up any corroboratory evidence – but neither have I found any serious discussion of where the money actually did come from. It’s equally true that you will search hard through any histories of New Zealand in those days before you find even the most oblique reference to how Labour financed its state housing project. So I’m not ruling it out. 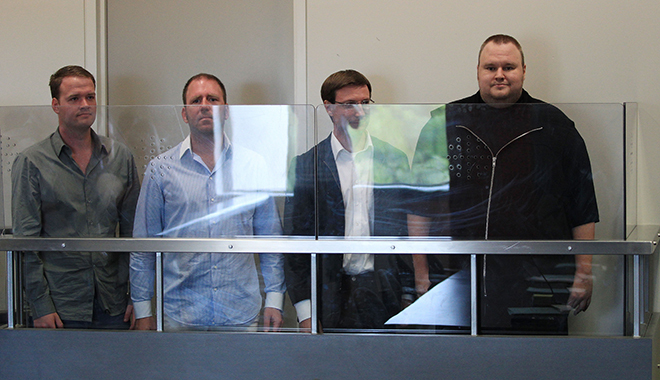 I haven’t seen much news about Kim Dotcom lately. You may remember he is the larger-than-life German entrepreneur who made headlines four years ago when he was arrested in New Zealand in a local police operation instigated at the request of the United States Federal Bureau of Investigation (FBI). The Americans wanted Kim and his partners extradited to the Land of the Free to face charges of copyright infringement, money laundering and criminal conspiracy. The charges relate to a file sharing company Megaupload these guys set up in 2005 in Hong Kong. If the New Zealand Government decides to send them to the USA (which seems pretty likely), and they are convicted, they face prison sentences that will run into decades. You’ll remember Chelsea (Bradley) Manning got 35 years for blowing the whistle on US shenanigans in Iraq, but at least he’s an American citizen, which the Dotcom team are not. Doesn’t worry the Yanks though. Julian Assange (an Australian citizen) is still under Ecuadorean protection in their London embassy to avoid a similar fate. Well, the extradition hearing has begun in New Zealand, and I read an interesting article published in The New Zealand Herald focusing on the plight of one Finn Batato, Megaupload’s advertising manager who is one of the defendants. If you’re interested, you can read the article for yourself, but for me the most interesting snippets came near the end, where the writer, David Fisher, asks some interesting questions: ‘Was the case motivated by Hollywood?’ and ‘How is it the US’s business?’ – given that they accused are not US citizens and the company was set up in Hong Kong. That’s why the trial, if it comes to a trial, will be held in the state of Virginia. And I have to tell you, I don’t have a lot of confidence in the current government of New Zealand to stand up to the US of A. Dotcom was granted residency in NZ despite his known criminal record in Germany, on the strength of his considerable wealth – New Zealand’s tiny economy is subsidized by a fast track process granting generous privileges to mega-rich foreigners. At the time of his arrest he was living in a leased mansion in the electorate of New Zealand’s multi-millionaire, free marketeering former banker Prime Minister, John Key. 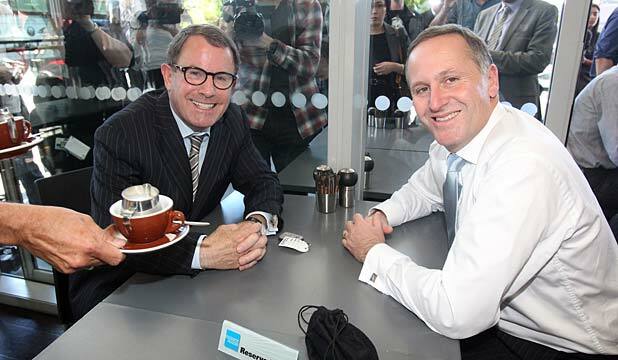 Mr Key subsequently switched loyalties after discovering that Dotcom was targeted by the FBI. 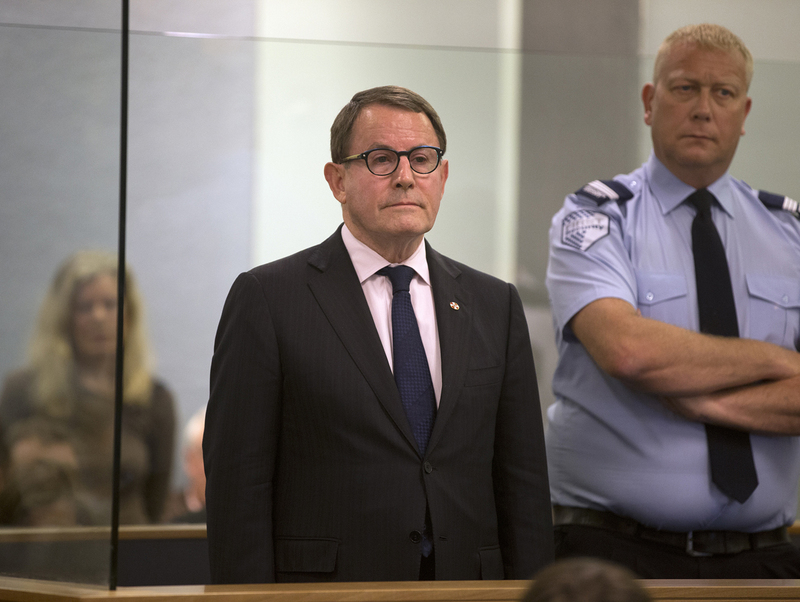 A former member of Mr Key’s National Party, former cabinet minister, one-time mayor of NZ’s largest city and self-professed creationist, John Banks, was recently cleared of accepting a pay-off from Dotcom to help with his 2010 mayoral campaign. Originally convicted by NZ’s High Court and obliged to leave parliament, Banks’ conviction was overturned by the Court of Appeal on the basis of sworn (but questionable) evidence by two American businessmen. New Zealand is home to 3 million people and 60 million sheep? “It’s widely believed that New Zealand has 20 sheep for every person – information that adds weight to myriad sheep jokes. How accurate is this these days? “To begin with, we must find out how many people live in New Zealand. The population passed the 4 million mark in 2003. Our population clock put the event at precisely 5.30 pm on Thursday, 24 April. “By 31 December 2011, the estimated resident population had reached 4.42 million people. “Next, we must find out how many sheep we have. According to Statistics New Zealand’s agricultural production statistics, we had an estimated 31.1 million sheep at 30 June 2011. “This means that the sheep-to-person ratio has fallen to a third of its level 25 years ago. It now stands at a little over seven sheep per person.” Read the rest of the article.